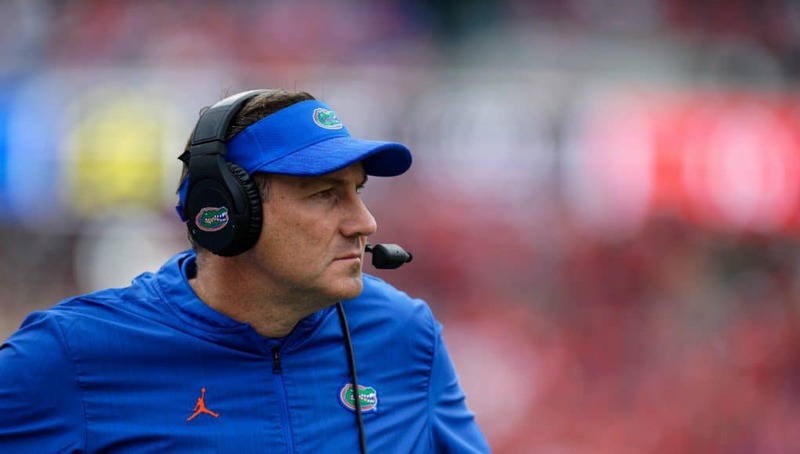 Florida Gators head coach Dan Mullen spoke to the media on Tuesday to discuss where the team is as it heads into its second week of spring practice. He updated on the progression of the quarterbacks and offensive line as well as a key injury. 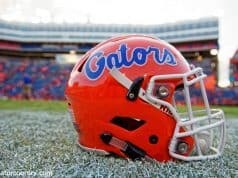 •	Mullen said Feleipe Franks has done a good job of learning the offense. Now, he’s just working on executing it. 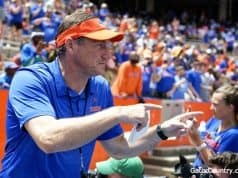 •	Mullen said he looked out there during a series last week and a redshirt freshman and essentially four high school kids were working with the second-team offensive line. 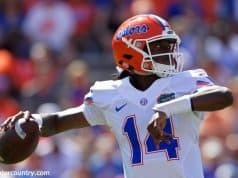 •	There is still plenty of time after the spring to bring in and offensive line transfer, and Mullen said that player could come in and play immediately. •	Mullen said he told players he’s not addressing jersey numbers until after the spring, and if anyone comes to him about a change before then, they will be out of the discussion for changes. He’s had roughly 30 guys ask him to be No. 1, and it’s too much drama to give it to one player.